Import full of category data such as parent category, image, products and so on. You are a store owner and about to move the whole store to a new Magento 2 website. However, you are facing with an issue of adding a large number of categories along with related data to the new site. The amount of work is really huge while you cannot have many staff take responsible for it. What should you do in this case? Please stop thinking of manually creating each category respectively! It definitely costs you time, effort and even money in case you don’t afford and have employees to carry out. This Magento 2 Import Categories extension gives the admin a hand to create a lot of categories at once without taking much time to do manually as before. Just need to click Import button and then all prepared categories are added to Magento website in an eye of the blink. After successfully importing, admin can check imported categories by navigating Product→ Categories. 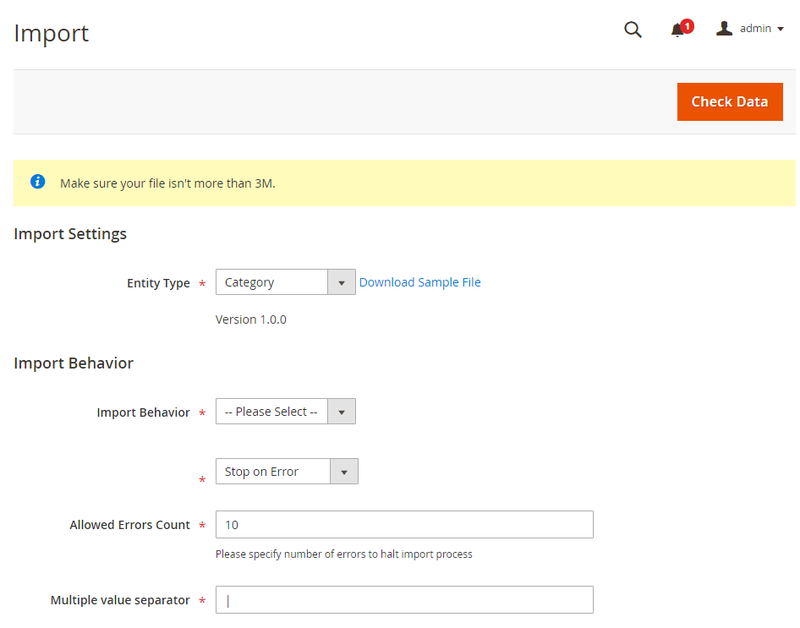 Like default Magento, the Magento 2 Import Categories extension provides a sample CSV file for admin to download to their computer and complete all category information as instructed. You need to upload the prepared CSV file and this file is validated before importing to Magento 2 websites by clicking Check Data button. 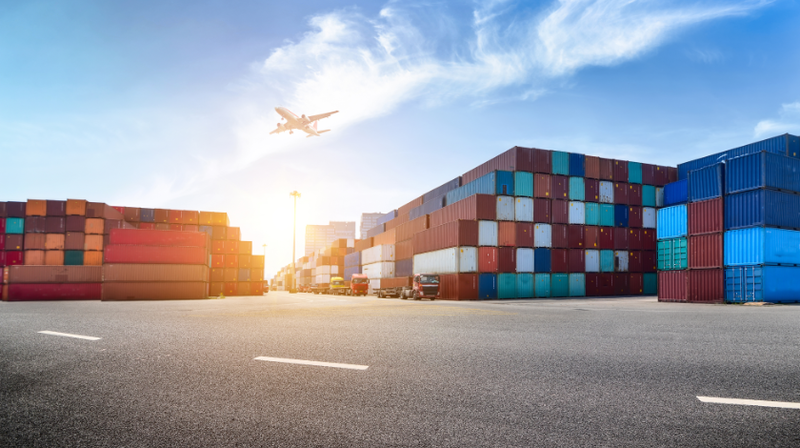 If it is valid, Import button will be displayed to click and start the import process, otherwise, this module will notify a list of invalid values in case the file contains errors. 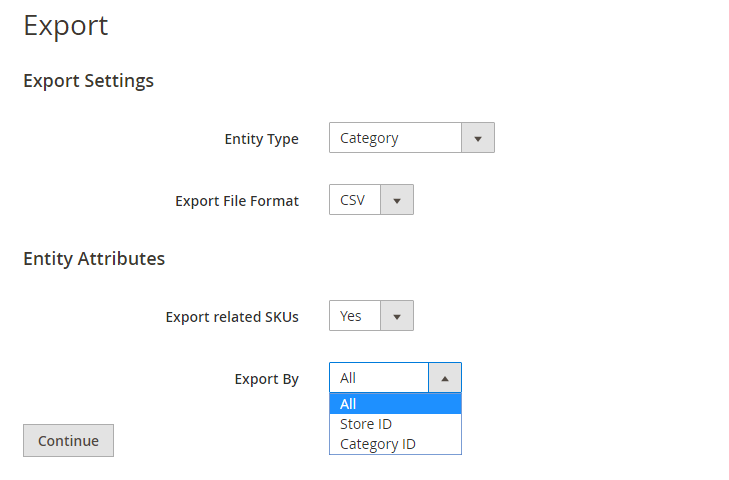 This module allows admin to export available categories to a CSV file by store view ID, category ID or exporting all categories at once. Besides, admin can also select whether exporting related SKUs or not. A lot of admins chose us, why not you? A lot of admins have to create each category in the default Magento. Hence, this extension frees them from a big amount of manual work in the backend by preparing a CSV file and then everything is done by one click. Now it’s your turn to free yourself. Don’t miss it!